HBO's 'Girls': What's Next for the Show's Stars? What’s Next for the Stars of Girls? After its finale, the question for the stars of Girls is pretty much the same one that Hannah faces: After you leave Brooklyn, what comes next? The series, boosted by regular waves of controversy, earned its actors a level of name recognition far beyond what its relatively small ratings numbers suggest. Now, after leaving behind the characters that have, for better or worse, become synonymous with their own public images, the stars of the show are all on to something new. So, what’s next for Lena Dunham and the rest? Here’s what we know. In a recent Nylon cover story, Dunham said she was taking a “break” after Girls, though in point of fact, the writer, director, and actress seems as busy as ever. She’s overseeing her newsletter Lenny Letter’s new book imprint, living out Hannah’s dreams by writing a collection of short stories about female friendship called Best and Always, and overseeing a new all-female production company with Girls EP Jenni Konner. Nylon’s story also references unnamed film and theater project that Dunham plans to research in London, as well as her involvement in creating a series of Lenny Letter short films for HBOGo. In 2015, HBO ordered a pilot about the early feminist movement produced and directed by Dunham that would star Zoe Kazan, though it’s unclear whether that is still going forward. Williams made her feature-film debut as the ultimate clueless white girlfriend in Jordan Peele’s Get Out, which — spoiler alert — just earned her an MTV Movie and TV Award nomination for Best Villain. Williams hasn’t publicly signed on to any future projects yet, and we imagine she’s probably done with live musicals after Peter Pan Live!, but surely there are plenty more Marnie-level oblivious characters and/or Rose-style schemers left to play. A few weeks after the Girls finale, Mamet will head to the theater for a role in The Whirligig, a new play from Hamish Linklater, continuing to build on the theater cred she accumulated with Really Really in 2013. Film-wise, her thriller with Jessica Biel, Bleeding Heart, will come out in November, and she’s sticking to relatively indie projects in the future, with roles in David Robert Mitchell’s L.A. noir Under the Silver Lake, Sophie Brooks’s comedy The Boy Downstairs, and to crown it all off, the biopic Mapplethorpe, where she’ll play the photographer’s sometime lover and best friend Patti Smith. Of all the Girls stars, Kirke has tended to have the uneasiest relationship with her place on the show (she tried to quit before season 2), and acting as a career in general, as she’s also a painter and was one before the show began. Still, Kirke has at least two acting jobs lined up after the Girls finale: one in All These Small Moments and another in Untogether, where she’ll appear alongside her sister, Mozart in the Jungle star Lola, who will play her sister in the movie as well. Perhaps the biggest name in the Girls cast by now, Driver will next appear in a little movie called Star Wars: The Last Jedi as the villainous Kylo Ren. Outside of his standing commitment to holding a lightsaber and yelling, Driver’s also lined up several prestige projects, including Steven Soderbergh’s NASCAR-heist movie Logan Lucky, and Holy Motors director Leos Carax’s English-language debut, a pop-star movie called Annette. Driver’s also supposed to be the lead in Terry Gilliam’s The Man Who Killed Don Quixote, though time will tell whether that movie ever gets made. After wrapping Girls and a turn in Falsettos on Broadway, Rannells told Vulture he is mulling a bunch of different ideas. “I’ve been so lucky with Lena and Jenni that I guess I’m looking for, or hoping for, a collaboration on the level I had with them,” he said, noting that he’s not currently looking to play a one-dimensional gay best friend. Karpovsky had a career as an indie director and actor before he started playing the misanthropic Ray, and after the show ends, it looks like he’ll continue in a similar vein, though on a bigger scale. He recently appeared in Hail, Caesar! and Netflix’s Girlfriend’s Day, while Folk Hero and a Funny Guy, in which he teams up with Everybody Wants Some! !’s Wyatt Russell will be out soon. 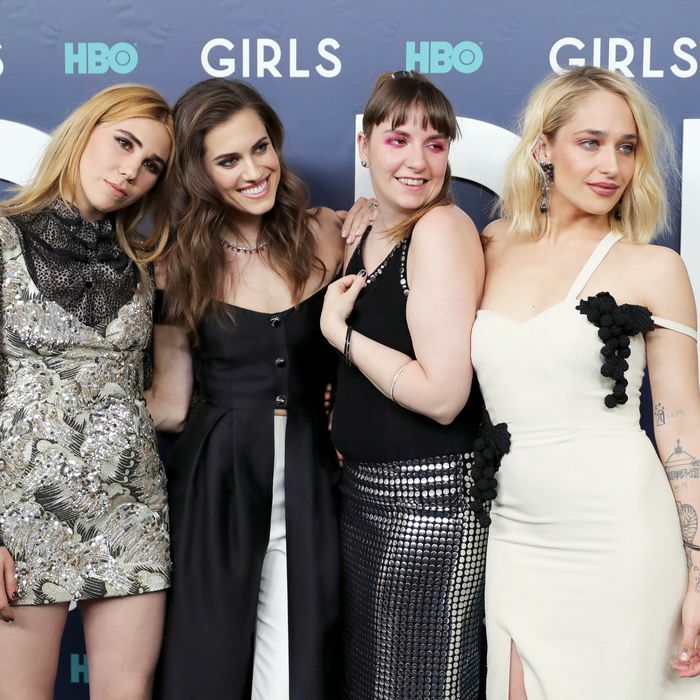 The Stars of Girls: What’s Next for Them?